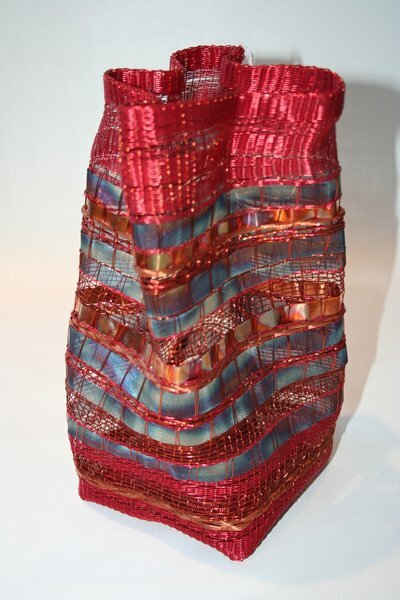 Fran Solar is a contemporary Canadian artist who combines textile techniques with unconventional materials to create unique woven sculpture, both free-standing and wall-mounted. Fran currently lives and works in Squamish, British Columbia, Canada. 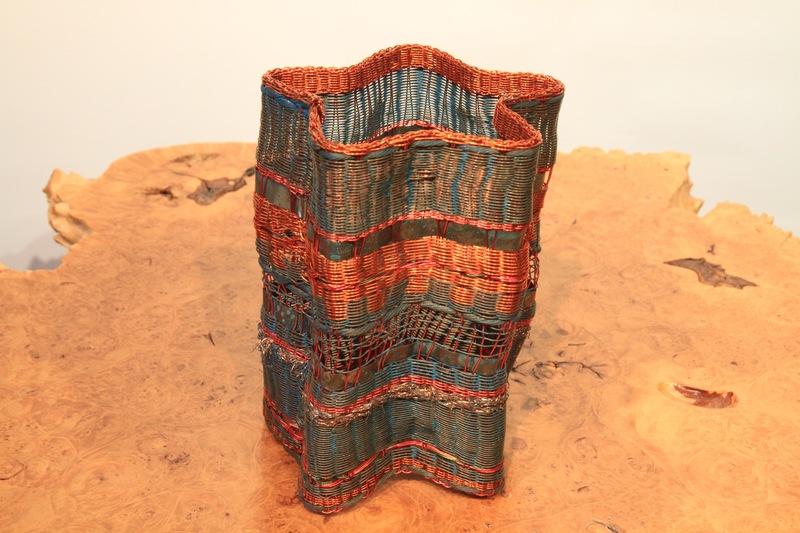 In the mid-1990’s Fran began to experiment with basketry as another textile art form, initially using traditional materials such as wood and reed. 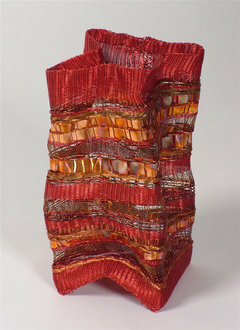 After attending workshops at Basket Focus conferences in Toronto, Ottawa, and the Okanagan she developed an interest in using metals in combination with textile techniques such as loom weaving, basketry, and quilting. 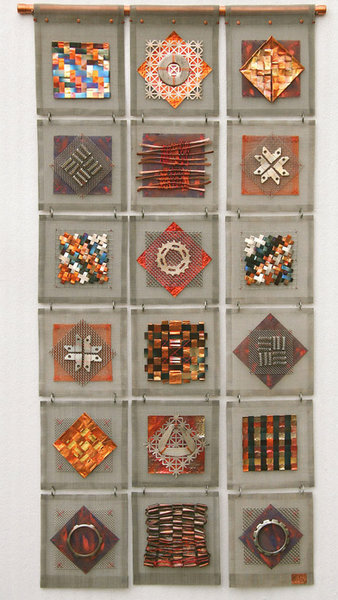 Her materials today include copper, brass, and stainless steel sheet and wire, and interesting bits and pieces of hardware and industrial surplus.These materials are further altered through the use of heat and chemical patinas. 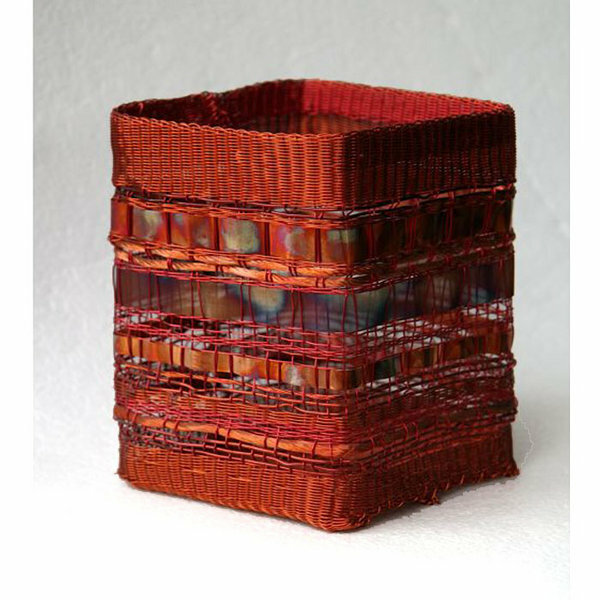 I enjoy using these ‘masculine’ materials and hardware pieces – washers, electical whatevers, bike parts and gears – and turning them into quilts and basket vessels with more of a domestic/feminine dynamic. I don’t know where this fascination comes from nor do I have any idea what the proper use of most of these things might be. 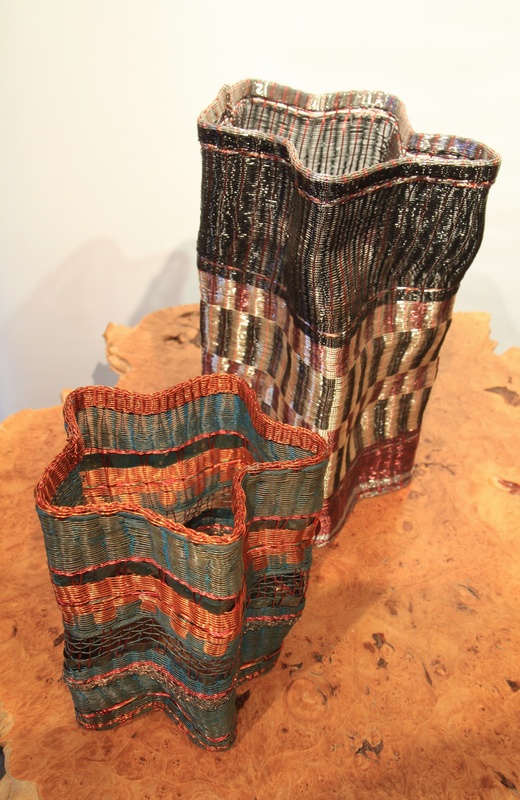 I am intrigued by the ways that the shapes, patinas, and colours of prosaic materials and objects can be recombined into a different pattern in a new context. Hence the development of the Scrapyard Quilt.